I don’t know about you, but it seems the food preservation projects just keep coming. 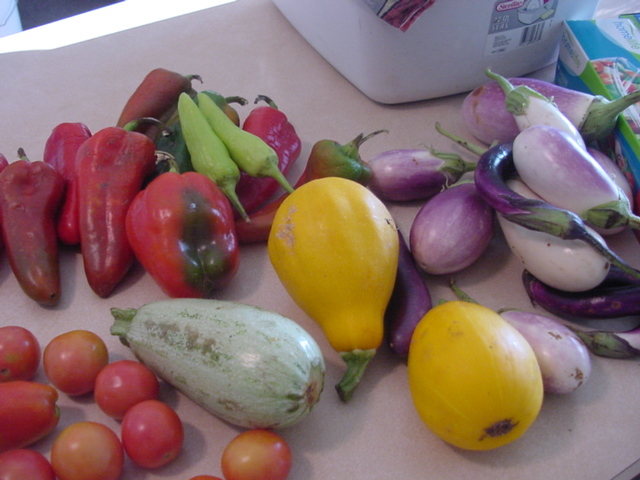 Two days ago, I started a summer veggie sauce project to preserve the really ripe and not-so-pretty tomatoes as well as some squash, peppers, and a few small eggplant I hauled back from my farm down south this weekend. I got as far as cutting up all the veggies (plus a few cloves of garlic) and cooking them down until soft, but I started so late in the day that the rest of the process had to wait ’til yesterday. Up early the next morning, I ran the veggies through my strainer on the tomato sauce screen to make a smooth, lovely, bright red sauce, then set it on the stove to simmer down to thickness until I headed off to work. I also brought a cooler full of leeks and kale (from my kale patch clean-up project) back from Vermillion, and when I got home from work that evening, I figured I’d better get on part of that project as well. The cooler is sitting up in the parking area by my truck, so I went up and brought a dripping armload of leeks down to the kitchen and started slicing for the dehydrator. They were partly cleaned, but it takes some effort to get the grit out, so the slices went in a bowl for soaking, the “flags” (tops) went in a tub for stock-making, and the roots went in the compost bowl. That was the new compost bowl–after I’d hastily dug unmarked graves for all the other vegetable scraps and coffee filters I’d had piling up for the previous couple of days–two big bowls full, plus a tub of cukes starting to go moldy. By this time, I’d gotten the tomato-veggie sauce in the pressure canner (the addition of those low-acid ingredients means it must be pressure-processed), praying that the old stove with push button heat controls would provide stable enough heat to keep the pressure in the right range. It did! And then I realized how hungry I was. It’s hard to think about ingesting food when you’re preparing so much of it, but thankfully I’d pulled a ham steak out to thaw earlier in the day. 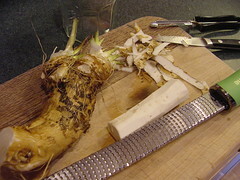 That went in the frying pan with a little butter, some sage, and a whole small yellow onion, sliced. Once it was done, I smothered it with sauerkraut–mustard and horseradish on the side. A glass of cold Reisling. I feel a little guilty about using my Bubbies’ (commercial) sauerkraut, knowing that so much of the fermented cabbage is produced in this area, but I brought it with me, and I’m determined to use it up before buying the local stuff. A gal can only eat so much ‘kraut on her own. While I was plating up the ham steak and pouring my glass of wine, it occurred to me that ham and sage would make a good stock with a few of those leek tops. I could add some potatoes later for a proper soup! So, I deglazed the ham pan with a slug of wine, added some trimmings from the steak, scraped it into the now-cleaned tomato sauce pot, rinsed, chopped, and added a few Blue Solaise flags, added water, and set that to simmer. And then, I sat down to eat. As usual, when I got done eating, I was completely exhausted. My body doesn’t seem to know it’s tired until I sit down and put food in it–and then it’s hard to get back up. So, I rinsed the sliced leeks, put them in a colander to drain overnight, and hit the hay. 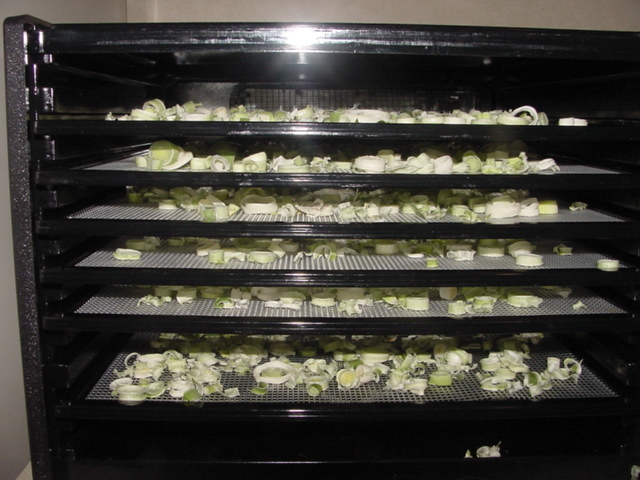 This morning, awakened early by flashes of lightning over the lake, I arranged six trays of the heirloom Blue Solaises and fit them in the dehydrator. But I still need to figure out what to do with all that kale. 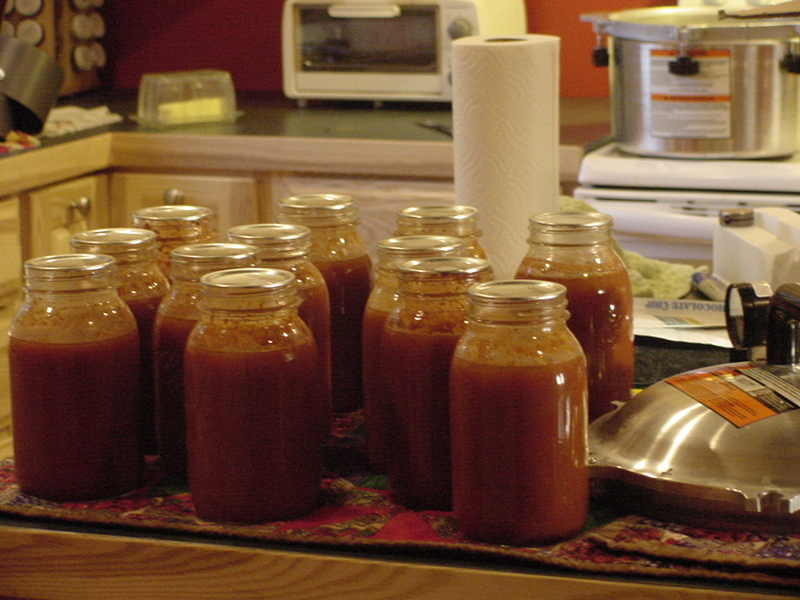 What marathon food-preservation projects are you engaged in during these last precious days before the frosts? 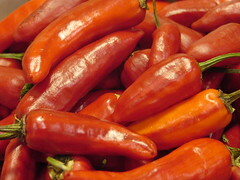 What food preservation skills and processes would you like to learn for this season or next? Yeah, I know Lennon would have disagreed, but this time of year, sweet corn IS love–buttery, salty-sweet love-on-a-cob. 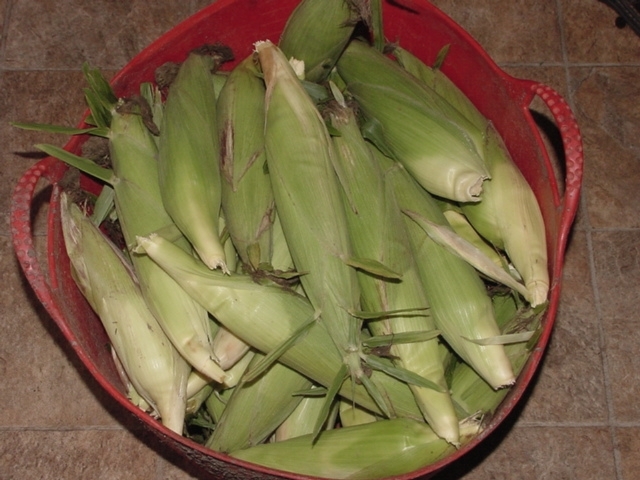 We knew our farm neighbor’s corn was ready via a circuitous route–I was checking my USD e-mail after a forty-or-so-hour hiatus from the internets (See? See what happens if you get offline even for a day? ), and the English Department secretary had written to say Gladys (not her real name) had called the office twice looking for me. Deb also noted that she had learned quite a bit about Gladys in the process of those two conversations–that Gladys is 85 years old, has been on her farm for over sixty years, and thinks I’m wonderful :-). Having been in conversations with our neighbor before, I’m pretty sure Deb learned a lot more than that–which might have accounted for what I interpreted as a slightly frazzled tone in Deb’s message and the all-caps subject line: PLEASE CALL GLADYS!!! Well, I didn’t call her that night (having just got back from an intensive trip), but I did stop by the next day, after harvesting in my own gardens (the haul–30+ cukes, plus some tomatoes, squash, and a few beans), and she told me to pick as much as I wanted–it won’t last much longer. M was with me, and at first he didn’t want to pick the corn (he’s eight now, which often seems to mean that he doesn’t want to do or try anything he hasn’t done or tried before). But then I showed him how to pull it down and twist it off, and he found his first fat ear, and we ended up walking out of that field with our arms full several times before the tub was full practically to overflowing. Dinner wasn’t much more than as many steaming hot ears as we could eat–rubbed with butter and sprinkled with salt. I sliced up a couple of cukes as well–mostly because there’s about dozen more cukes left in the bucket that couldn’t fit in the crisper drawer. M didn’t want to eat those either–not remembering that he has tried them and liked them in the past. I gave him some slices just plain, and H and I ate the tangy rice vinegar-drizzled ones. The rest of the corn I decided to can. 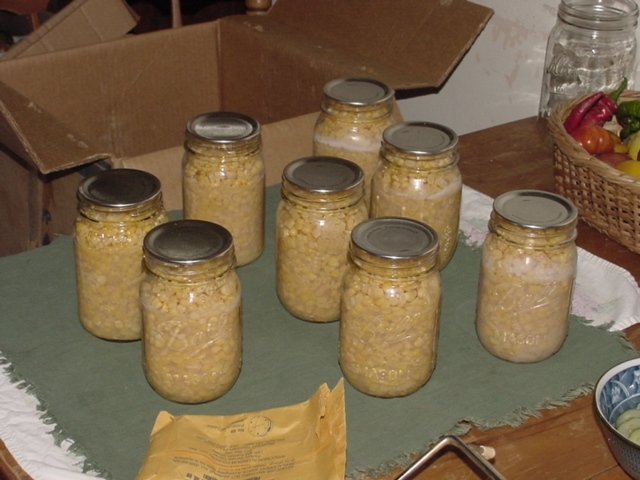 I’ve been freezing it for the last several years, but corn was the first thing I used my pressure canner to preserve–back when I first bought the thing and was afraid of it. Because I’ve applied for a job in southwest Minnesota, I am planning for the possibility that I’ll be moving some of my food stores if I (hope-pray-fingers-crossed-excited!) get it. I’ll still have lots of frozen meat and other good things to clear out of my big freezer, but the less perishable stuff I’ve got to transport, the better. Is this normal? Do people usually move food? Well, I do. And it’s a lot easier (albeit heavier) to move cases of canned goods than frozen goods. Heck, I could even pressure can some of that frozen meat–though I don’t know if that’s a project I want to undertake in a season when there’s so much else to put up. Speaking of–it’s getting toward my birthday, and traditionally, I can some sort of tomato project on that day–sauce or salsa or the like. The tomatoes are starting to come on, but as wet as it has been, I’ve had a lot of damaged fruits and slow ripening–I don’t think I’ll be able to do a big project if I tackle one then. The tomatoes-sprawling-on-landscape-fabric idea seemed a good one–and it might be in a normal year, but I’m not sure there is a normal anymore. 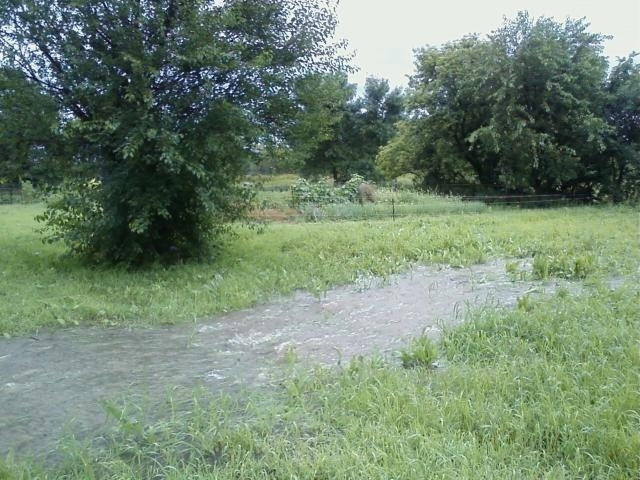 We are not supposed to have six-inch storms in July (um, or ever, really? 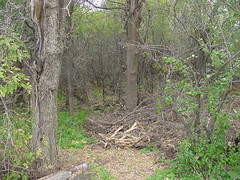 )–nor are we supposed to have one or two or three inches of rain every other day besides. The night before I left for my Minnesota trip, I tried to get out to harvest the gardens during a break in the rain at about 3pm. I pulled in the farm road and realized if I went any farther, it was unlikely that I could extract myself. To ford? Or not to ford? 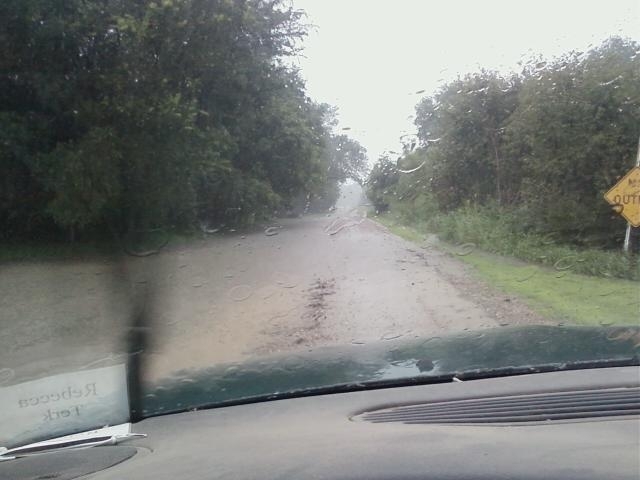 I tried again about a hour after the rain stopped, and it was still pretty dicey getting in and out–even with parking in the middle of a part of the road that didn’t have a river of water gushing across it. 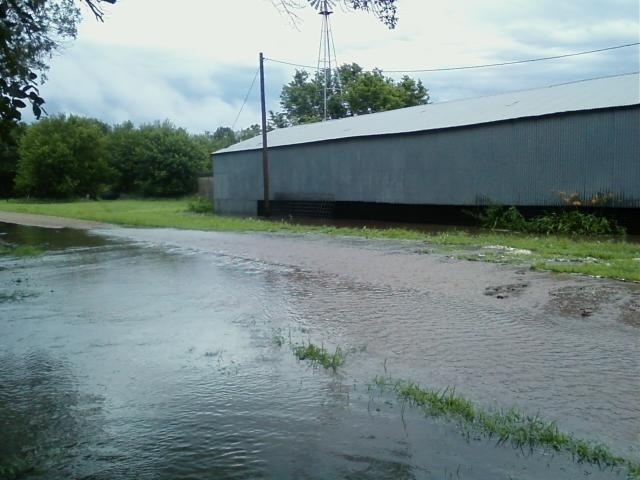 Water was pooling up around and pouring into the barn, running down the hillside, looking for the already-swollen river. For all the water we’ve had, the gardens have been doing pretty well–there hasn’t been a lot of standing water or erosion thanks to our good organic matter-rich soils. 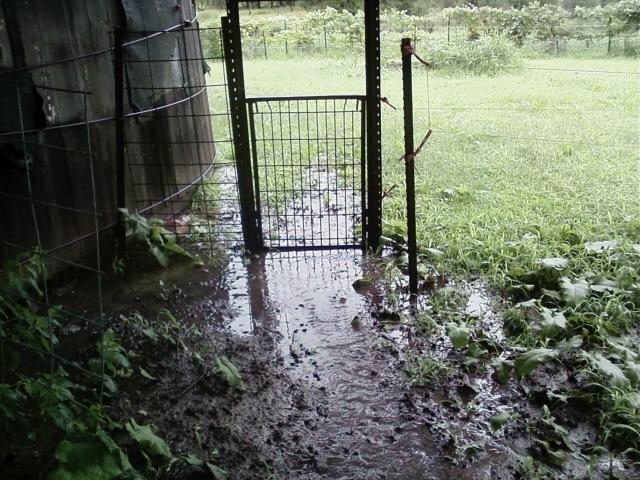 While other parts of the farm stink like a swamp, the gardens have drained out fairly quickly. 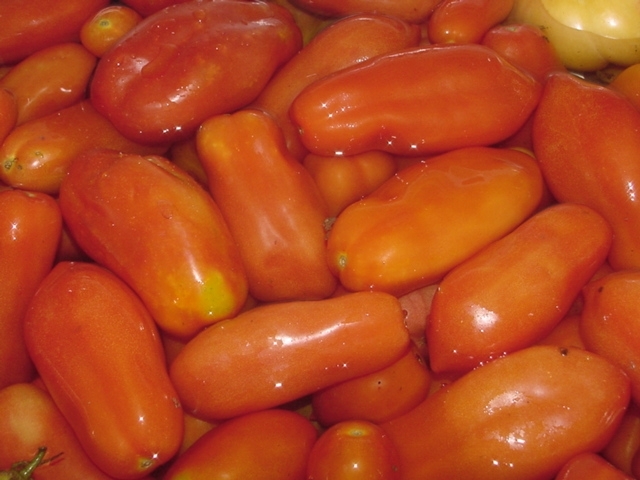 But you can’t get that much water without some effects–the eggplant are slower than molasses to form fruits, and the cherry toms have some leaf spot issues. Almost every vegetable coming out of there is muddy–even where there’s mulch. Still, I think this season can be called a success–even if there’s not enough tomatoes (and I do think there will be–in dribs and drabs), there’s lots of other good stuff coming out that can be put up. The pickle crock is very slowly filling; there’s 8 jars of corn, and the freezer is nowhere near empty. Hmm…eight jars isn’t very many, is it? Maybe it’s time to visit Gladys again. 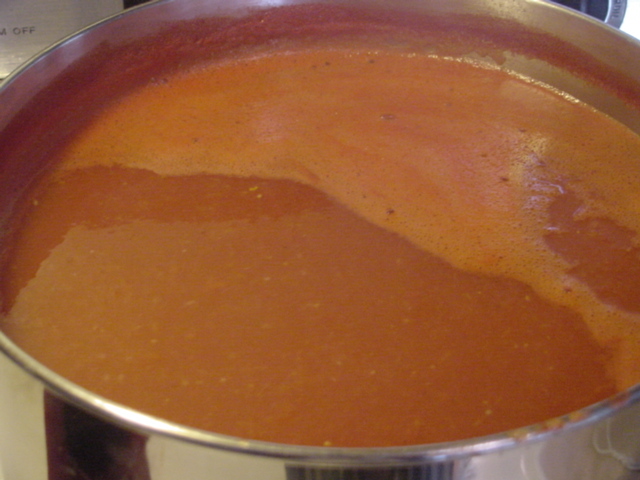 In the ongoing struggle to preserve as much of the season’s bounty as possible (besides what I sell at the two markets I attend), I decided to make a new recipe: Putting Food By‘s Country Tomato Soup. I’ve made and pressured-canned plenty of tomato-vegetable soups, but I hadn’t tried to do an entirely smooth one like this recipe. It’s really delicious! The downside is that now that I know how good it is, I’ll probably have to can another batch later on this week or next. I’m getting a little weary of canning, to be honest. And I’m almost completely out of jars–even after buying a couple more cases last week. I’ve just got a few half-pints left that are waiting for the grape jelly project. But, really–it’s awesome. It’s so good, I was really upset that after the first batch, there was just exactly enough to fill three more quarts with none left over in the pot–except that little bit I sopped out with hunks of salted baguette. And then H went at what I had left in the pot. Yeah, it’s really good. I did tweak the recipe a bit, though, based on a few other recipes I looked at online. 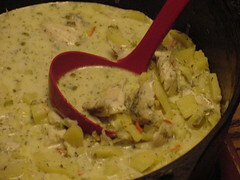 One thing I did NOT do was try to thicken it with flour and butter, as some recipes call for. In my reading, that’s not a safe bet for home (even pressure) canning. Cornstarch worked just fine. Instead of just the onion and green pepper called for in the PFB recipe, I added a couple cloves of garlic, a few big sprigs of basil, and a big bunch of celeriac leaves and stems (having that in my garden and not celery). The celery flavor really makes it. All the veggies besides tomatoes were chopped and simmered with a little water in a covered pot until tender, then run through the Villaware strainer with the raw, red-ripe tomatoes (this did cause the strainer to jam up a bit, but it mostly came through in the end). 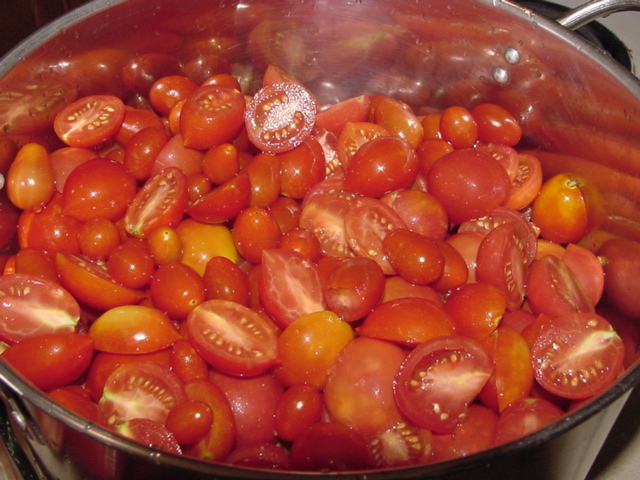 Then, I simmered the whole thing down a bit more–though it was fairly thick to start with because the tomatoes were almost all paste/sauce/canning types: San Marzanos, Principe Borgheses and Polish Linguisas. See how “meaty” they are? That means they cook down in a lot less time than the so-called “canners” that are just slicing tomatoes that aren’t up to snuff. 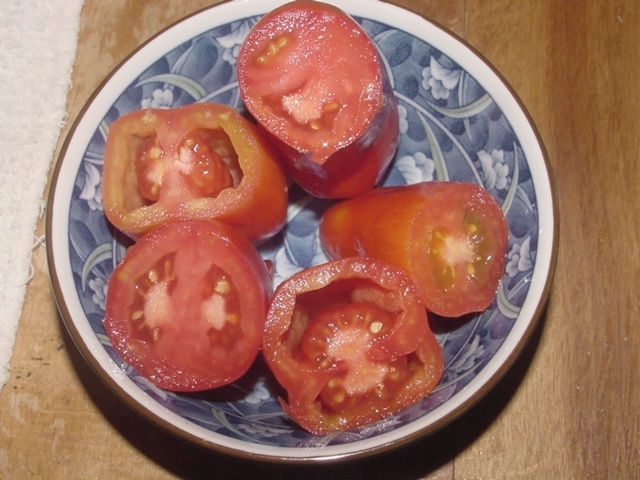 This isn’t to say I’ve never used a cracked tomato in a sauce–but since I pick those tomatoes myself, I can inspect them and know if they’re worthy–and know that a recently cracked-but-not-moldy tomato needs to be processed right away or it is compost. Period. But back to the soup: the PFB recipe calls for 3/4 cup of sugar, 2 tablespoons salt (optional), and 8 tablespoons of cornstarch (among a few other things) for a 4 1/2 quart batch. I used 1 1/4 cups sugar, 12 tablespoons cornstarch, and 2 tablespoons salt for a 10 quart batch, and both H and I have pronounced it well-balanced in flavor. To have doubled the quantity of sugar would’ve made it much too sweet, and I have learned over my years of canning to automatically cut the sugar by at least a third on any recipe. The sugar is not acting as a preservative, so it’s really just as matter of taste, as is the salt. Lastly, because I added celery to the recipe (which was not originally included), I processed for thirty-five minutes instead of thirty at the 10lbs. pressure recommended. Yup. I’m going to have to make more. …I’ll get my canning done. I decided to take the ripe box of tomatoes pictured in yesterday’s post and run them through the strainer, cook them down, and at some point today, can tomato sauce. 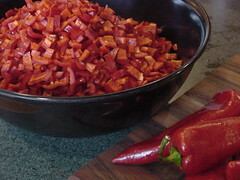 It’ll likely only make one canner-load once the sauce is cooked down to a reasonably thick consistency, but that’s something, and it gets the household produce overload partially dealt with. On the one hand, I hate to heat up the house to do just one batch, but on the other hand, the boiling water from the canner can be used for weed control on the border between my property and the neighbor’s. And I’ll be a little closer to having enough tomatoes put up for the winter. 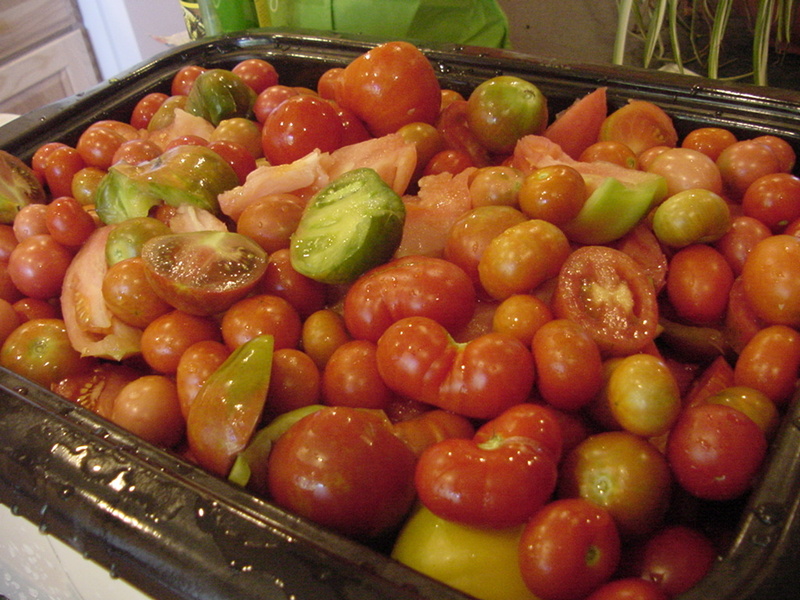 Which is to say–still very far from the goal of many cases of tomatoes (four? five? ), but there’ll be at least a half a case done. As I go through yet another season, I can look through my pantry and figure out what it is we actually eat (by what’s missing), and what’s left over. I won’t be doing many pickles this year–the corn relish was one pickled thing I think I’ll use (I used a little in stuffing zucchini for dinner last night), but the pickling cukes are going to a friend this year–I’m just not that big a fan of pickled cucumbers. I may make a batch of dilly beans, as I do eat those, but other than that, pickles aren’t really on the agenda except for perhaps a mixed pickle like I did last year–an antipasto in quart jars that uses up all kinds of little things–tiny carrots, little onions, green cherry tomatoes, okra, and the like. 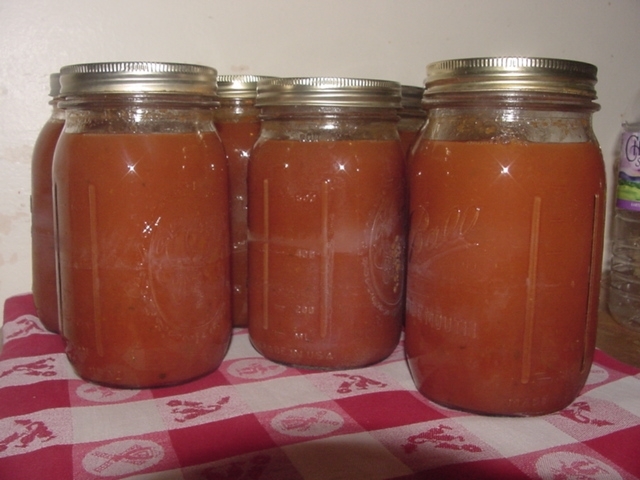 Other canning projects on the agenda include ratatouille in the pressure canner–something I most definitely use, plus some quarts of tomato soup. I may also can some chicken this year if we get a lot of them from our friend who is raising chickens on H’s place. 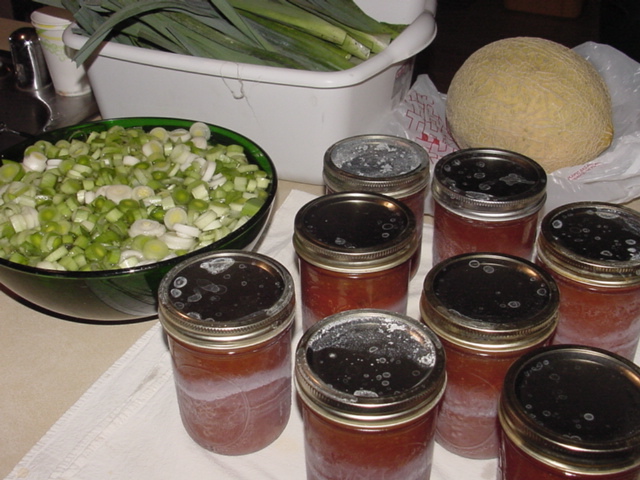 One more new thing I’d like to try in the pressure canner this year is some pints of fresh shell beans. 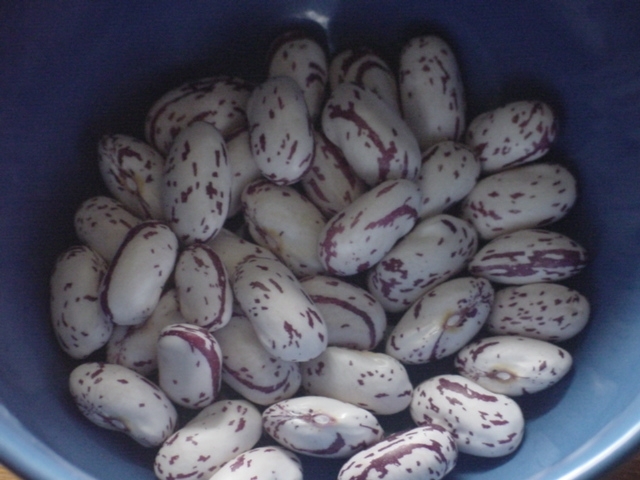 Those Bingo borlotto beans from Territorial are starting to get their lovely mottled cream-and-red coloration, so I’d like to make at least one or two canner-loads for convenience’s sake. I’m not sure, though, if you can really call it convenience to shell, wash, pack, and process that many shellers–it’s a lot of work to deal with beans. But I’ve got ’em, and I’d like to have some ready-to-use, so why not? I can spend an afternoon shelling beans and listening to the radio or chatting with a friend over tea, and it’ll make the project go faster. But no matter how fast each project goes, it’s still a long slog to the end of the food preservation season. It helps that the produce is so lovely, and that I have good tools to work with: a sure-gripping jar lifter, a multi-purpose funnel, a fantastic tomato and veggie strainer, a BIG aluminum pressure canner, sharp knives, sturdy cutting board, LOTS of kitchen towels, etc., etc., etc. I just hope I don’t burn out my stove….